Contemporary West African brides have one rule these days and it is “Please remember that you are not the bride.” I wish we were exaggerating but brides are legitimately scared of what we’ve all come to know as “The Aso Ebi slayers.” Not so recently, Lala Akindoju made it a point in her wedding invitation to warn these slay-mamas to remember who the bride was. These ladies are your friends, your colleagues, cousins and sometimes even your own sisters. Even the bride-to-be might have once been an aso ebi slayer before her own judgement day. The question really is, has the aso ebi phenomenon become a love-hate situation? The answer is yes! Because as much as a bride would hate to see a guest steal her day, she would feel more disgusted knowing that people didn’t put much effort into looking good for her wedding. Therefore, slaying your aso ebi look is one of those things that has become a must but you must always remember that you’re not the bride! 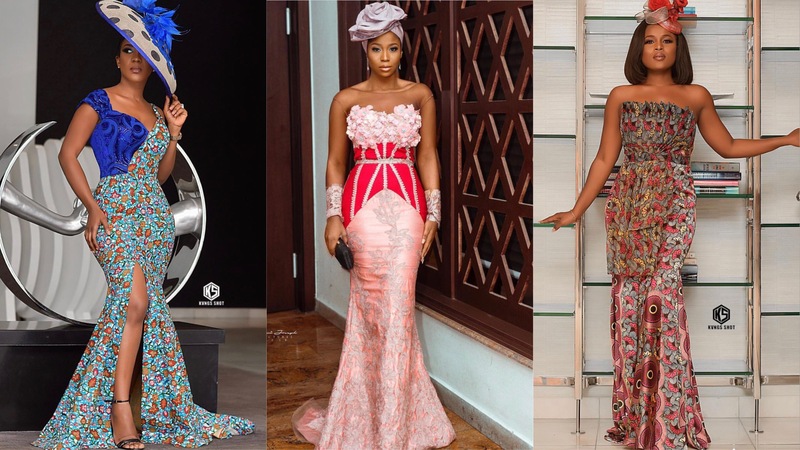 From Ghana’s Berla Mundi to Nigeria’s Lilian Afegbai and Linda Osifo, we’ve curated 8 stunning SR-approved aso ebi styles. These looks have a certain sway to them. While they are absolutely gorgeous they aren’t over the top, so we are sure your bride would be very pleased to see you.